We can’t really believe that in just over three weeks we’ll have a brand new Lady Gaga album to obsess over. The New York born singer, who hasn’t released a solo album in three years, recently sent us into spirals with her comeback single “Perfect Illusion,” a collaboration with Tame Impala’s Kevin Parker, producer Blood Pop, and Mark Ronson. She then announced her fifth solo album, Joanne, and it’s stunning cover art. 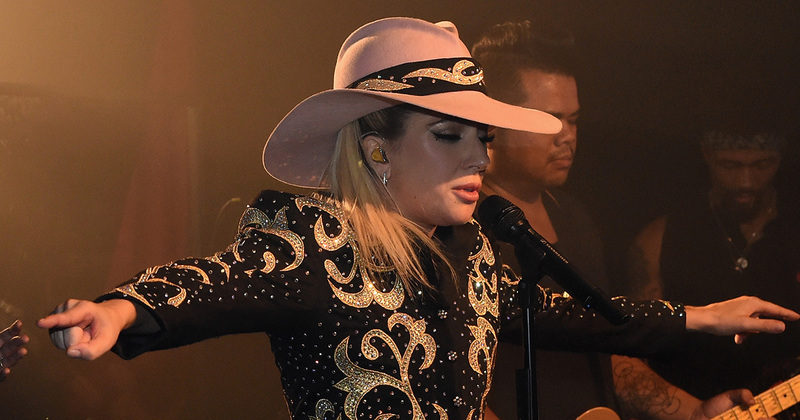 Now Lady Gaga has shared a brand new song from Joanne and it’s hitting us right in the feels. Debuting the track last night (October 5th) at a dive bar in Nashville as part of a mini-tour to promote the record, Gaga performed the Hilary Lindsay co-written track. Titled “Million Reasons,” Gaga explained how the song was about all the men in her life who, she said, only needed to give her one reason to stay around but kept giving her a million reasons to leave. The song itself, which was also co-written by Mark Ronson, is a glam-rock and country ballad that Gaga said was inspired by one of her heroes. "It’s the one that heirs from Bowie and Marc Bolan and then maybe from some obscure London metal stuff, the Beatles," Gaga said to Ryan Seacrest on his radio show. "It also kind of airs from the electroclash movement from New York and that’s kind of when I started coming up, was right after that. "It’s probably the most New York-glam-pop song on the album," she finished. Lady Gaga also performed two other new songs for the first time during her show last night, which was in collaboration with Bud Light and was live streamed on Facebook. Both “Sinner’s Prayer” and “A-Yo” also mark a new direction for the star, who has previously been known for her massive pop bangers. Instead, the new songs have a rock & roll vibe, with smatterings of country. You can watch Gaga’s whole dive bar performance below (the show starts at the 25 minute mark). It was recently finally confirmed that Gaga would 100% be performing at next year’s Super Bowl halftime show. Lady Gaga releases Joanne on October 21st. You can pre-order the album now and get both “Perfect Illusion” and “Million Reasons” immediately.